If you haven't heard of Galentine's Day before, it's a holiday made famous by Leslie Knope from Parks and Recreation. Every February 13th, Leslie gathers up her gal pals and celebrates the miracle of their friendship. They share a meal, share gifts, and share in celebration. 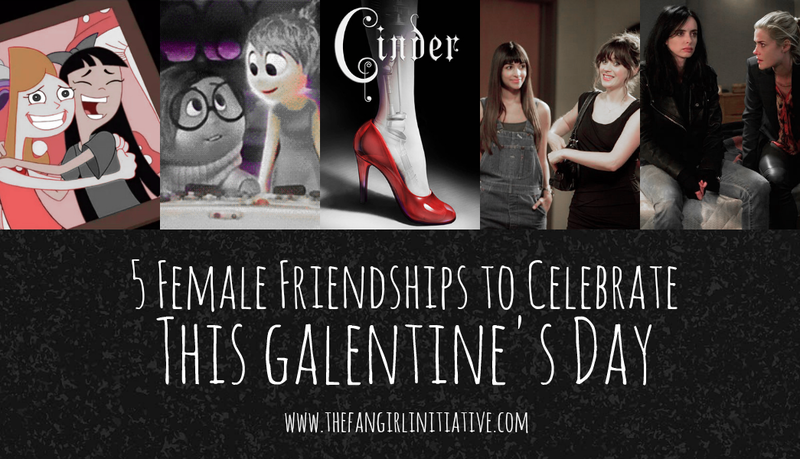 While we at TFI can't physically celebrate Galentine's Day together, we decided to gather together and put the spotlight on some of our favorite female friendships in fiction. Talk about unlikely friendships! Candace Flynn is an extroverted, high-strung highschool girl who is often out of touch with reality and is unhealthily obsessed with busting her brothers Phineas and Ferb for the awesome and harmless projects they do. Her best friend, on the other hand, is Stacy Hirano – an introverted, sensible, and intelligent girl known for being cool, calm, and collected. Despite having such opposite temperaments, these two girls seem almost to share one mind most of the time, having all the same hobbies and often having the same thoughts at the same time. Candace and Stacy spend as much time together as they can, whether it be on the phone or in person. Like most, teens, their focus is usually on fashion and boys and fun. But their relationship is not shallow as many such teen relationships are portrayed as being. There is an amazing amount of depth in how they get along. And the show does a great job in showing how their friendship, like all human relationships, takes an equal amount of work on both sides to maintain. Both girls continually do all they can to support each other. 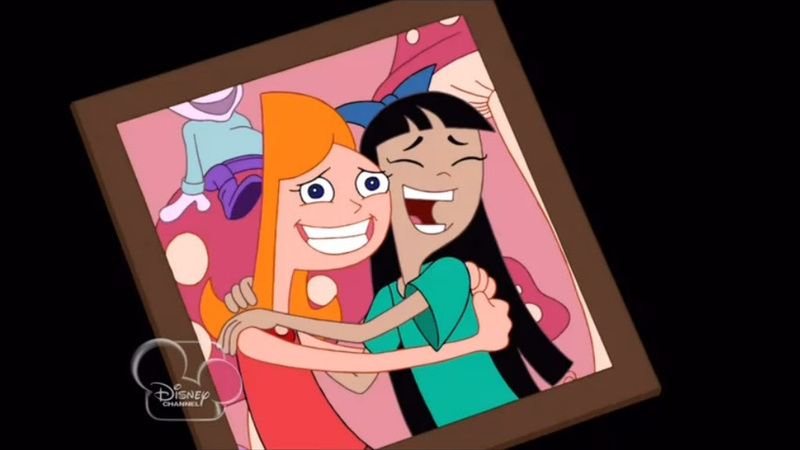 Candace is often shown struggling to put her obsessive behavior aside so she can be a good friend to Stacy. And Stacy is always there to help Candace through her anxiety, encourage her as she navigates her new relationships with her boyfriend Jeremy, and help her keep her relationship with her brothers in perspective. 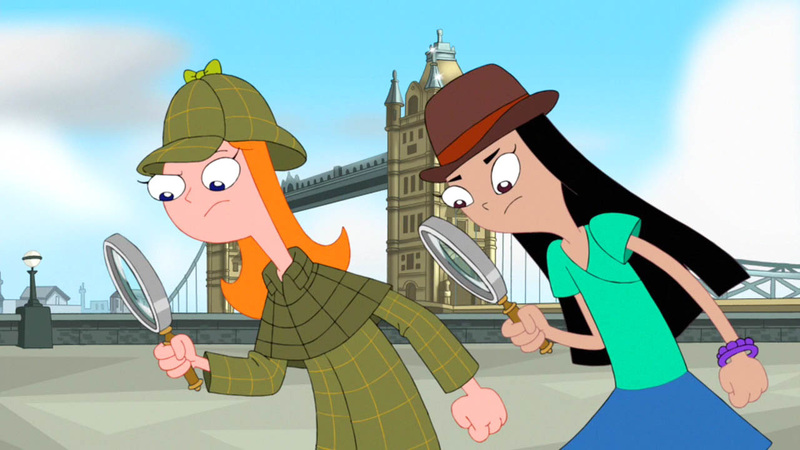 Even though Stacy has nothing against, and secretly enjoys, Phineas and Ferb’s projects (she’s been, as Candace would say, “seduced by the coolness”), she will supportively follow Candace in attempting to bust her brothers, while at the same time gently try to help her realize there are better ways to spend her time. 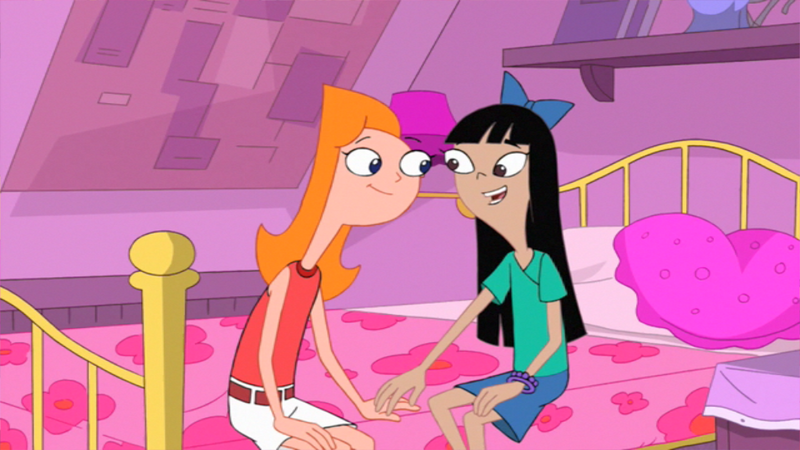 What’s even better is Candace and Stacy’s relationship is not only a childhood friendship. We are shown that, years later, the two girls are still best friends even as adults! At first, Joy and Sadness didn't get along. Joy didn't understand Sadness' importance in Headquarters, and Sadness was too sad to explain why to her. However, Joy later realized that Sadness helped to bring Riley's relationships about. Good relationships have highs and lows, good times and bad times. Joy and Sadness came together to give Riley all new expressions and emotions. Together, they built bigger and better islands for Riley's personality. They learned how to appreciate each other's strengths. One of my favorite aspects of a book series is the cast of characters. I love large casts where I can get to know several different characters distinctly as if they were my friends. The Lunar Chronicles cast is exceptional at pulling this off. There are nine main characters, plus a few evil and memorable baddies. The best part about this large cast? Five of them are well-developed, female characters, and they're all close friends by the end of the series. Cinder, Scarlet, Cress, Winter, and Iko: these five represent the most important kind of friendships in the galaxy through their self-sacrificing, compassionate, and open love for one another. They fight together. They trust one another. They love one another. None of them would be the same character if they hadn't met one of the others or lived through their experiences together. Their strong bond of friendship with one another seems to be an anomaly in most YA fiction these days. These ladies don't degrade one another or judge each other for their pasts or actions. They don't fight over little things or exact revenge on one another. They support each other, lifting each other up when things seem to get worse. They pull through for one another whether it's to defeat an evil queen or to plan the perfect wedding (*whistles*). They represent the best and much-needed friendships any lady should have. 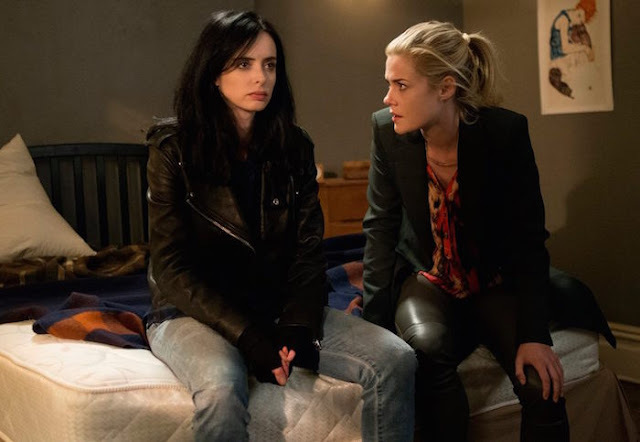 If you’re looking for a strong, complicated, and feelsy female friendship, look no further than Jessica Jones and Trish Walker from Marvel’s Jessica Jones. When we first start the series, things between Trish and Jessica are strained. Over the course of season one, their friendship and history is gradually revealed. We see that they’re actually more like sisters and have supported each other throughout their childhood. Jessica helped Trish with her abusive mom, but Trish helped Jessica right back with the loss of her parents and her experiences with Kilgrave. They equally need each other, no matter how much they may try to deny it. While another important relationship on the show is the romance between Luke Cage and Jessica, I would argue that Trish and Jessica’s relationship is almost more important. It makes a huge impact on the show, just as Trish has made a huge impact on who Jessica is. They wouldn’t be who they are today without each other. What gets me is the fact that both of these women are strong, vulnerable, multi-faceted, and overall really well-written characters. They are complicated and fascinating on their own, but together, Jessica Jones and Trish Walker are a force to be reckoned with. And moving forward into season two, I can’t wait to see more of these two strong women--both together and apart. While sitcoms are generally known as light and fluffy entertainment, one area where they don’t take things lightly is showing well-written friendships. From Friends to Parks and Recreation and even The Office, sitcom friendships have a reputation for being absolutely fabulous. And New Girl is no exception. It has many different friendship dynamics between all the characters, but today I want to talk about Jess and Cece. Jess Day, our protagonist, is a bubbly teacher from Portland, Oregon. Early in the show, we are introduced to her best friend, Cece Parekh, a logical model who’s been best friends with Jess since middle school. As the show progresses, Cece becomes even more entrenched in Jess’ life, even going so far as to date one of her roommates. And arguably, Cece is a huge part of the show. We get to see multiple subplots with her--her dating life, her career, and even her potential marriage. Her dynamic with Jess is fabulous as well. Cece is forthright and grounded, and she often brings Jess back to earth with her advice. They’re almost complete opposites, but somehow, their friendship works. And even though they’ve had their disagreements, they always come back to one another. Their friendship has a solid foundation, and it only continues to grow deeper as both of them grow older and discover life’s moments--the good and the bad. New Girl is currently airing season 5 (with seasons 1-4 on Netflix). While there’s no telling where Jess Day’s life will go, one thing’s for sure--one of the most important people in her life, Cece Parekh, will be there for all of it. Who are your favorite female friendships? Let us know in the comments. Join us for a special Twitter chat from 8-9 pm EST tonight! Chime in using the hashtag #tfivday. AHHHHH YES I REALLY LOVE THE LUNAR CHRONICLES CAST AND CANDACE AND STACEY AND OF COURSE SADNESS AND JOY. THEY ARE SO GREAT. I LOVE THEM DEARLY. THAT IS ALL.